If you are looking for a place to enjoy some quality dinks with your friends or family members then this small castle inn is the place for you to visit. The staffs here are outstanding and are always up to your need. You can also stay here for a night as the rooms are spacious and well equipped with all the necessary items. You will get to eat delicious foods in the pub on the ground floor. You will see a lot of images of the civil war in the dining area at the basement. To personalise your visit to the city, you can use an all-inclusive Chepstow trip planner for the same that will give detailed information about visiting the city. Add accommodation and hotels in Chepstow that suit your budget including the most recommended ones like The Beaufort Hotel, Castle View Bed & Breakfast and Alveston House Hotel. Find out how to reach Chepstow to begin with. Plenty of wholesome Chepstow vacation packages are available to choose from, pick your today! Love this? Explore the entire list of places to visit in Chepstow before you plan your trip. Fancy a good night's sleep after a tiring day? 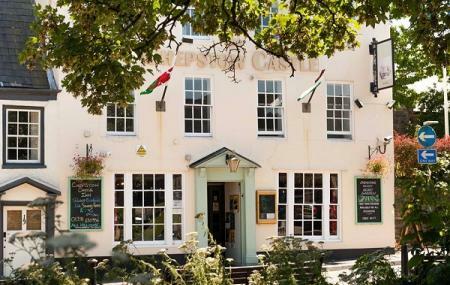 Check out where to stay in Chepstow and book an accommodation of your choice. Excellent castle! I've been to quite a few in my time but this one is truly amazing. It has of couse been scarred by battle during the civil war however most it remains intact and it shows what a really medieval fortress should have looked like. The entrance price is very reasonable fair play to the owners as considering some of the overpriced English heritage owned attractions which are essentially in ruins. I would recommend this castle to anyone visiting the area not just history buffs as it really is a site to behold.